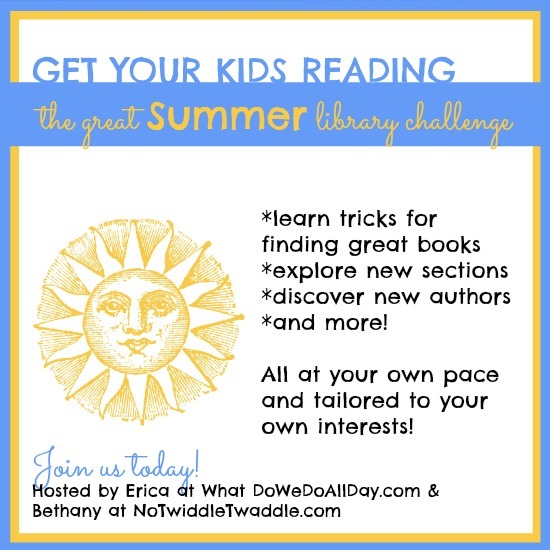 WhatDoWeDoAllDay.com & NoTwiddleTwaddle.com are hosting The Great Summer Library Challenge. We’re all signed up and looking forward to seeing what challenges they have for us. I hope you join, too. Thanks so much for spreading the word about the library challenge. We are hoping it helps encourage parents to discover great new books and resources that are FREE right in their own backyards.